Thank you to parents and wonderful singers who joined Vocal Play Kids 2016! Here’s a little highlight video of our creative singing session. 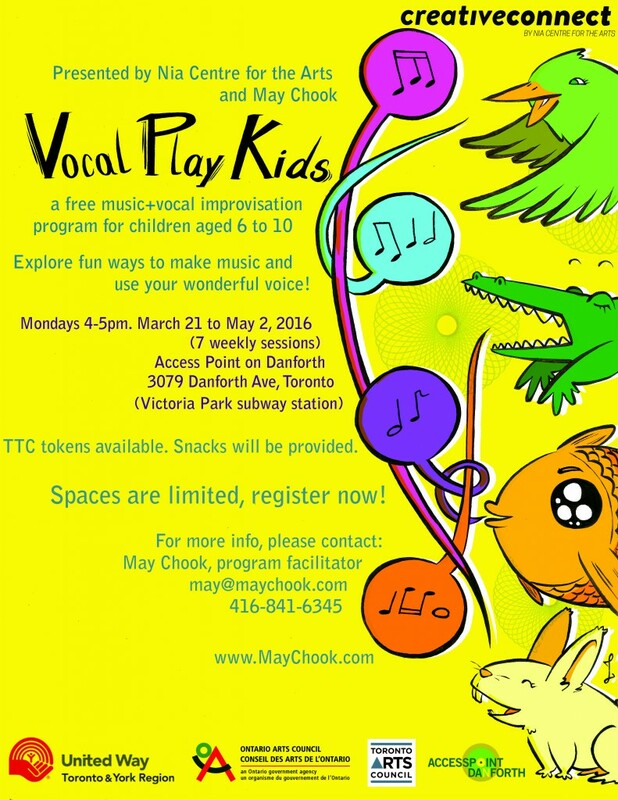 Join us for this FREE music+vocal improv program for children aged 6 to 10. Through fun improvisation activities, children will learn to sing and create music together. It will be a positive and fun learning environment. TTC tokens available. Snacks will be provided.